Servicing Belleville’s Plumbing For Over Two Decades! Named Belle Ville, or “Beautiful City,” this classic Illinois city is home to a vast history, rich culture, and largely German influences. 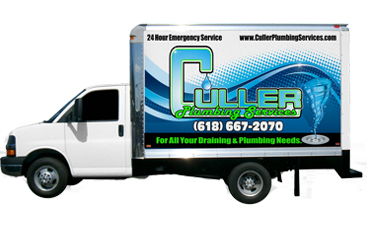 Culler Plumbing shares more than 20 years of that history as Belleville’s 24-hour plumber, and we have what it takes to bring beauty and efficiency to even the smallest of dirty tasks. Our local plumbers believe that this city deserves nothing less than the best when it comes to plumbing, remodeling, and service. Because of the skill and the ability of our master plumbers to add modern equipment, piping, and plumbing systems to old historic buildings, we are quickly becoming Belleville’s favorite plumber for bath remodels and fireplace installation! From shower or tub to new sink faucets and low-flow toilets, our plumbing skills can help you get the perfectly designed bathroom you have always dreamed of, all while improving your water efficiency and consumption reduction — and that means a smaller water bill! Water softener installation and repair. 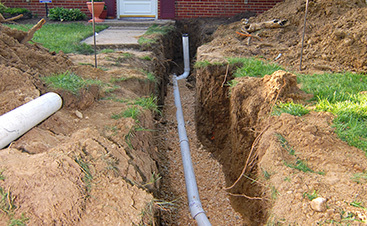 Gas line installation, leak detection, and repair. 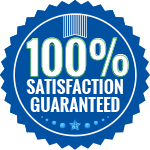 By charging for the job and not by the hour, you can be sure that you are getting the best value and the best service with no hidden fees. 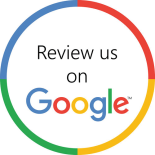 Contact us today for your complimentary estimate and to schedule your plumbing service. Plumbing facts your Belleville plumber wished you knew. Your local plumbing company in Belleville is staffed with highly skilled plumbers who are available to serve all of your plumbing needs, no matter the time of day. However, to help you avoid making the call for an emergency plumber, there are a few things that your Belleville plumber wish you knew. That leaking faucet isn’t just annoying. When a faucet or pipe leaks, many people ignore a simple drip-drip-drip and learn to tune out the annoying sound. However, this can be a very bad move. Not only does a little drip indicate that there is a problem in the seal of your plumbing system, or worse, a crack or leak, but it is also very costly. It is expensive in terms of your water bill as well as wasted water — enough to take 180 more showers a year! There are three different kinds of plungers. Why does your local plumber care if you know this or not? Most emergency plumbing calls are made when toilets are clogged or backing up. Many people attempt, to no avail, to relieve these clogs on their own and continue to attempt to plunge and flush. However, most people also use the sink plunger in the toilet, which is not very effective. Your trusted plumber in Belleville wishes every household had all three plungers and every homeowner knew how to use them correctly. For more information, read about plungers here, and, if you ever do find that your toilet is clogged, don’t make things worse, call Culler Plumbing Services right away! How to prevent frozen pipes and how to thaw them properly. When water freezes, it can cause a lot of damage, including causing burst pipes. To prevent pipes from freezing, they should be properly insulated. If you are not sure if your pipes are insulated, contact your local plumbing company to perform an inspection. If your pipes are not insulated, it is important to get them insulated right away. Illinois winters can be quite harsh! Additionally, your Belleville plumber wishes you knew how to safely unthaw your pipes. Or, at least to know when it is time to enlist the help of a skilled plumber rather than doing it yourself! Forcing water into frozen pipes has the potential to cause more damage. You should also never attempt to thaw pipes with blowtorches or by putting heating elements on your pipes. 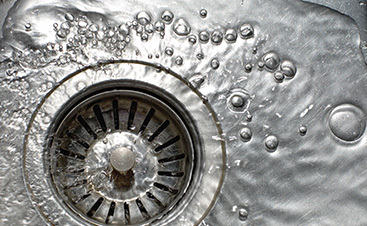 For these, and any other plumbing concerns, contact Culler Plumbing Services today!